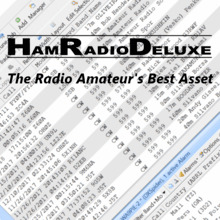 Ham Radio Deluxe Software Maintenance & Support Renewal Without Media has been added successfully to your wishlist. An incremental 12 month period of Software Maintenance and Support for your existing HRD software license. This Software Maintenance and Support renewal entitles you to direct access to the HRD technical support staff through phone or https://support.HamRadioDeluxe.com and to updates that include bug fixes and new features published during this initial Software Maintenance and Support period. NOTE: Since most customers will download the software, we do not include a CD with this purchase. To keep the price down, we sell them separately as an option for those who prefer to receive a CD. Your Ham Radio Deluxe activation key will be included in the receipt you receive from us following your purchase. At checkout, and by request, customers now have the ablity to sign up for automatic annual renewals. I have used HRD for many years. Yes, I started back when it was free - then and now I couldn't understand how someone could possibly put out a product such as this, support it, improve it and have an actual life. Now that HRD is a for-profit business I am still wondering how they do it all. So many facets to this software! Support is great. It is better than many software applications I supported over my years as an IT Systems Engineer and definitely a small fraction of the cost. Hams generally can see value when it is presented to them. HRD is a high value item to every shack. Yes, there are competitors that would be the topic of comparison to HRD. Subjective though at best. I believe that HRD is the only "everything in a box" set of applications. $50.00 a year for continuing support. That equates to about 13.5 cents per day, 96 cents a week or $4.17 per month. A bargain indeed... a choice piece of software indeed. Look at the offering here on the HRD site. You can test drive the application too. Four bucks a month... the initial cost is nothing in comparison with what you receive... give it a whirl!